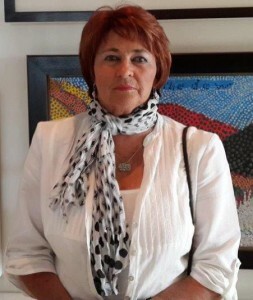 Jacqueline Horn, who conducts research and training for FLP, has completed two years study at the University of Zululand. It is great to have her back in Underberg full time. Jacqueline will finalise her Masters in Education (Educational Psychology) – for which she evaluated a Grief Intervention Programme in the KwaSani Municipal Area KZN) – in a couple of months. 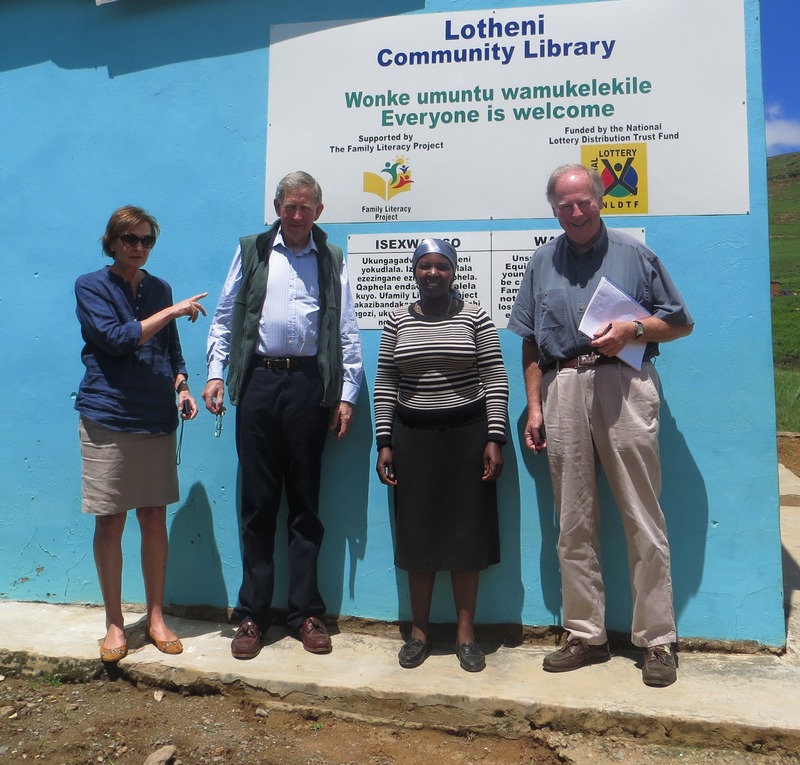 We were delighted to host John Wood, and Anthony and Sue Cane in February for a few days. The Jim Joel Fund has been supporting FLP for many years, and we appreciate the keen interest they show in our work. 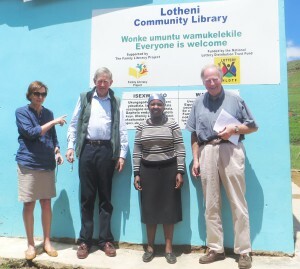 We took John, Anthony and Sue to Lotheni community library, where they were hosted by Florence Molefe. They also attended two home visits, saw the new key-hole garden which has been built by the Lotheni adult literacy group, and the new VIP toilet funded by NLDTF and installed with help from the CWP and LIMA. Our facilitators attended training in managing conflict in emotionally intelligent ways under the PEACE CLUBS initiative. Over the next three years we will introduce these materials and skills in our adult, teens and children’s groups. The aim is for adults and children to use these much needed skills at home and at school. 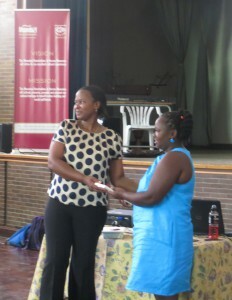 Felicity Champkins, the director of Asifunde Sonke (Vukuzakhe Project’s formal education arm) received the 2013 KZN ECD Educator Runner-up, the KZN ECD facilitator and National ECD facilitator runner-up awards. The Asifunde Sonke students training to be ECD practitioners are benefitting enormously from Felicity’s dedication and high standard of work. The DG Murray Trust has for a second year awarded FLP funding to train Community Work Programme participants to conduct home visits in the districts of Sisonke and Impendle. In 2013, in partnership with Tembaletu Trust and Aids Foundaiton of SA, we successfully trained 175 home visitors who visited 6 families each week, reaching thousands of children and families in our district. We enjoyed excellent relations with Tembaletu Trust and AFSA, and congratulate Tembaletu on winning the Extended Public Works Programme’s best national CWP project in 2013. Our 2014 programme will build on this work which will start once the CWP’s newly appointed local implementing agents for 2014 have undergone orientation. 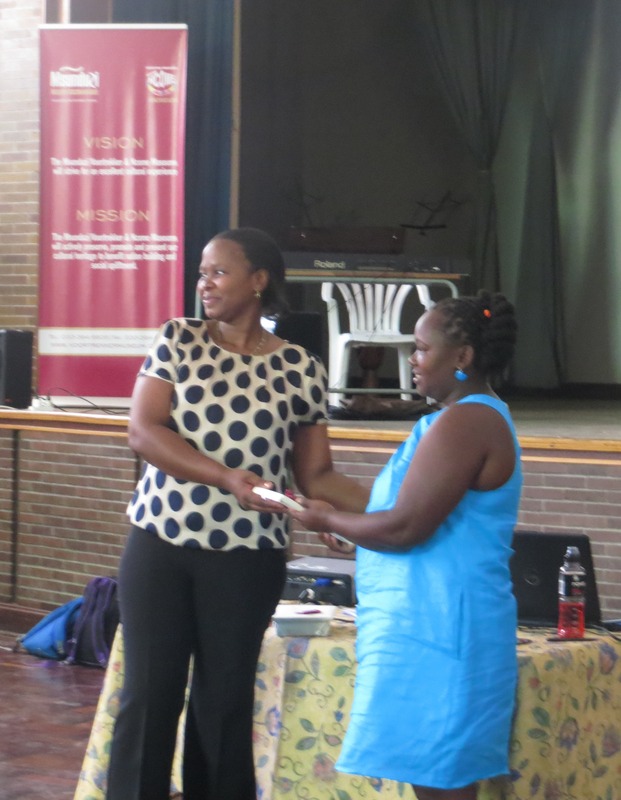 Phumy Zikode, our Literacy and Library Coordinator, presented the key-note address at the Msunduzi Museum’s Library week celebration on 17 March. The event, titled ‘Celebrating libraries in 20 years of democracy” included entertainment and refreshments, and invited those attending to donate books to the museum. Phumy shared information about the four community libraries and seven box libraries that FLP supports in deep rural villages in Sisonke district. 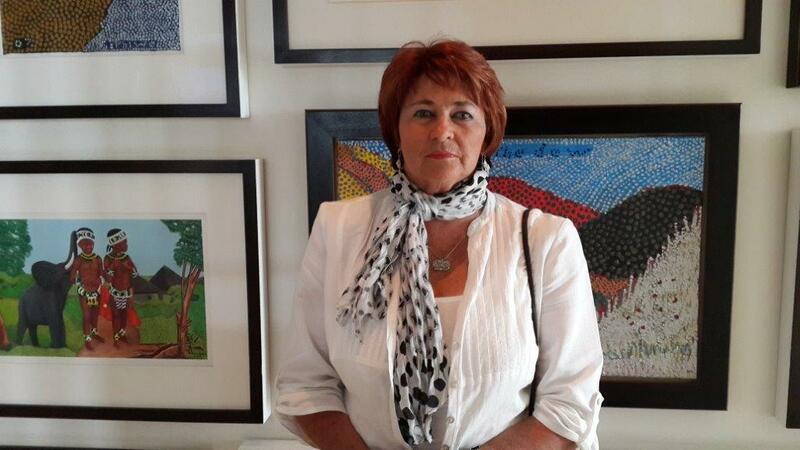 After almost 8 years with FLP, Lynn Stefano is relocating to Cape Town with her family. We hosted a very special farewell lunch for Lynn in September, when we also announced the appointment of Pierre Horn as FLP’s new director. We are delighted that Pierre has taken up this position as he has extensive experience in the education and development sector in South Africa and has lived close to Underberg for many years. Pierre is founding director of Vukuzakhe Projects (VP), an NGO working with adults and children to improve literacy and provide psychosocial support to rural families. FLP and VP are merging and the combined programmes will continue to be known as Family Literacy Project. 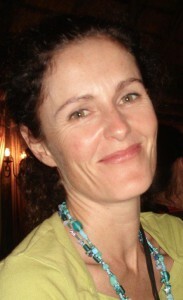 Lynn will continue to contribute to FLP as a member of the advisory committee. This year we are partnering with Tembaletu and Aids Foundation of SA in the Community Works Programme. We are training 175 local women from Impendle, Ubhuhlebezwe and Ingwe Municipalities to visit families in their villages to share information about child development with carers and to play with and read to children 0-5 years of age. Training started in February, and will continue throughout the year. The home visitors are all functionally literate women who learn about children’s rights, the importance of play, creating safe environments for children to learn in, providing a nutritious diet, etc., all with a focus on supporting young children to learn and build early literacy skills. The DG Murray Trust is funding this training programme. We are delighted to announce that we have moved into our new premises in Underberg, generously funded by the National Lottery Distribution Trust Fund. For 12 years we have worked out of church halls and small rented premises, and used B&B accommodation for our team when in Underberg. At last we have a spacious facility that houses our two offices and has space for us to meet with our team of facilitators for project planning, review and training. We have also hosted other NGOs who partner with us (eg Save Act) when they have needed to meet in the district. Lynn Stefano was invited by Stiftung Lesen to present our approach and work at their conference entitled “Prepare for Life! Raising Awareness for Early Literacy Education”, held in Leipzig, Germany from 12 – 14 March 2013. Thirty six countries were represented, and the gathering included academics and practitioners involved in various ways in early literacy, libraries and reading campaigns. The conference provided many opportunities for networking, learning from each other’s projects, and exposure to the latest research in early literacy education, brain science and language development in early childhood.